Can you imagine life without music? Okay, let's not even go there because it's not happening as music is like the half that makes us whole. 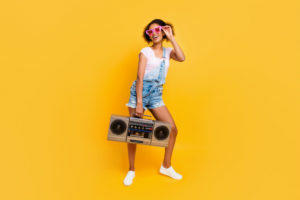 In fact, a lot of people turn to music to keep them company while working, studying, traveling, hanging out at the beach, camping, or hiking. It just gives life to everything we do. Thank God for stereo systems! In this post, we will talk about one of the best ones on the market; the Ryobi P746 One+. Aside from its quirky color, this stereo system has a whole lot of other things to offer. Read on and find out! · Various power sources available. 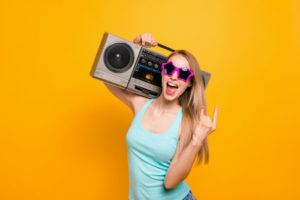 If you are the type of person who needs their music on demand, then you should consider a stereo system that has a good power source. The Ryobi P746 One+ is compatible with various plugs, batteries, and outlets. You can plug it into your wall socket to power it up or use lithium-ion batteries to use it while outside. In times where people need their music available even under dire circumstances, this stereo system can be a reliable companion. Streaming music is already the new normal. This stereo system allows you to connect your smartphone, device or other MP3 devices. You may also opt to use Bluetooth to pair your device with this stereo system. 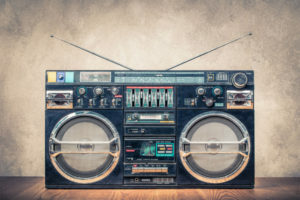 · AM or FM radio. 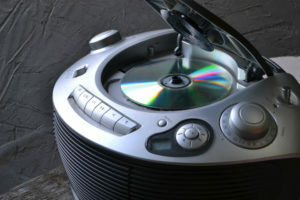 Nowadays, some people still prefer listening to music or even news using the radio. If you are the kind of person who values old-school ways of tuning in, then you will find the Ryobi P746 One+ right up your alley. · No more worries about low battery. Do you have this fear of draining your batteries and staying out of touch? When you have the Ryobi P746 One+, this would not be a thing to worry about because you can charge your phone or devices through the 2.1 USB port. It works with smartphones, mp3 players and just about anything else that uses a USB cord. We all know how terrible it is to listen to music when your device is not of good caliber. Fortunately, this stereo system has an audio equalizer for bass and treble. You can easily adjust it depending on your taste. If you are not content with the built-in speakers, then you can always add more. This stereo system allows you to add speakers to make your music more enjoyable. With its unique and robust design, this stereo is built for the outdoors. You can take it with you while camping or hiking. If you are using this stereo system outside, then you can use the storage space on top to keep your essentials. This way it is within your easy reach. When everyone is always on-the-go, it is a must to have equipment that is portable and easy to carry. This particular stereo system is not as bulky and quite portable too. It is always hard to find the right stereo to do the job. Most of the time, you have to be scouring a lot of products but ending up finding a stereo that does not get the job right. The Ryobi P746 One+ is an exception. It has a built-in equalizer for you to able to adjust the bass and sounds according to your preference. It does not hurt that it is also portable and lightweight. You can carry it while working outdoors or when traveling. 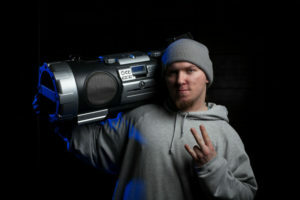 In addition, this stereo boombox is powered by batteries or an outlet source. This gives you more flexibility on how to use it and where to use it. 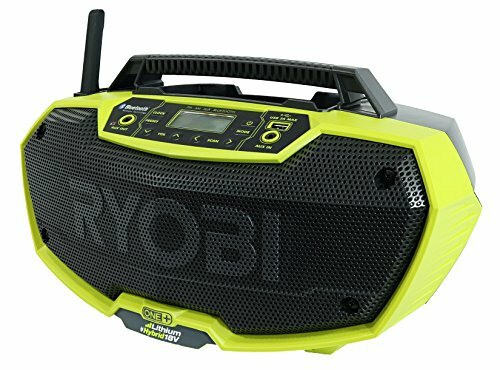 If connectivity is your main concern, then you will be thrilled to know that the Ryobi P746 One+ can stream music via Bluetooth. 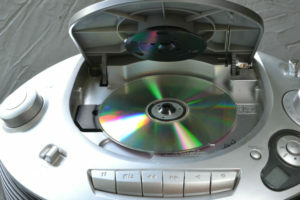 You may also connect your devices using the aux cord. It depends on your preference. 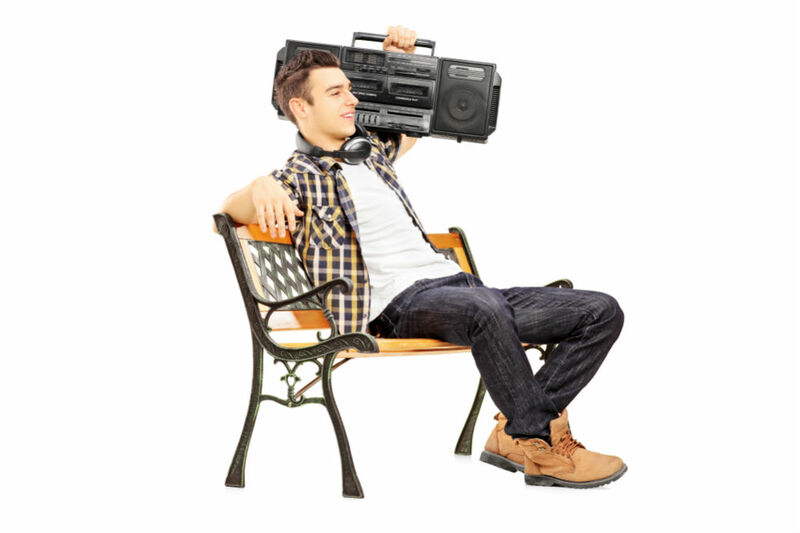 This is the ideal stereo boombox for outdoors and traveling. Also if your work entails being on the outside, then you will benefit with this loud stereo. 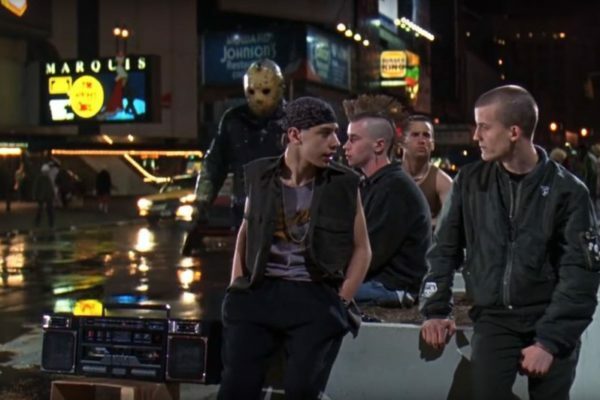 There are other various stereos fit for the outdoors. One of which is the Dewalt DCR018 Compact Worksite Radio. This stereo is great to use indoors or outdoors. 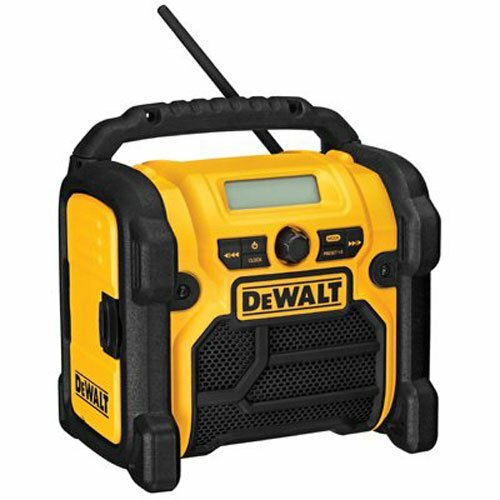 If you are working in an extremely loud job site but still want to hear some good music, then this item is your new buddy. Like the Ryobi P746 One+, you can power the Dewalt DCR018 Compact Worksite Radio with either batteries or AC power. It depends on your preference or situation. Isn't nice to know that you can always switch from one power source to another especially if the situation calls for it? Moreover, the Dewalt is portable and compact. Unfortunately it does not support Bluetooth. Notably, the products mentioned have similar features but different in design and color. It is up to you to pick which one suits your needs and preferences. In the end, whether it is for work or leisure, a good stereo is challenging to find. There are so many factors and features that you need to consider. 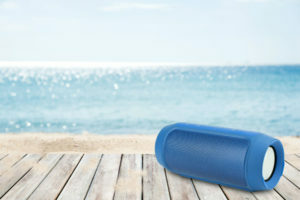 Nevertheless, if you are going to use your stereo outdoors, then it is important that you make sure you get the one that produces loud sounds and great bass. Just like the Ryobi P746 One+; it has a built-in equalizer to ensure that clear and loud sounds will be transmitted with every single use. Furthermore, Connectivity is also important. 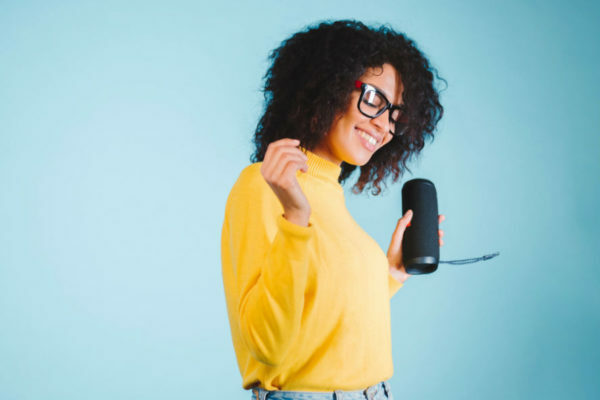 If you want to be able to play your music on demand, then you should look out for features that allow you to stream your music. Again, the Ryobi P746 One+ is a perfect example because you can choose Bluetooth or plug through the aux cord. As a bonus, you can also charge your smartphones while using the stereo because it has a built-in charging port. Overall, this stereo system does not only have nice features but also comes in bright lime color. It also has storage space on top for all your valuables or essentials. Unfortunately, it does not come with an extension cord, but you can easily purchase one and use it with this stereo system. The best thing is that whether you use it for work or play, you can depend on this stereo system. It always transmits excellent sound quality, and it is robust enough to withstand the great outdoors.